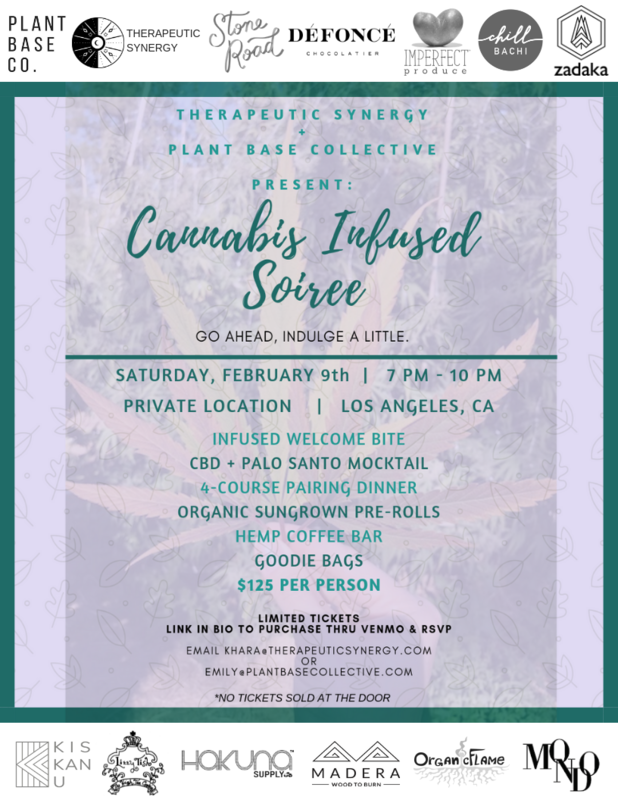 If you are in Los Angles on Saturday, February 9th you have to check out this cannabis infused soirée hosted by the fabulous Khara Pechtes of Therapeutic Synergy and Chef Emily Anderson of Plant Base Collective. Ticket will include a CBD Mocktail, Welcome Bite, and a 4-course pairing dinner, with organic sun-grown pre-rolls, and hemp coffee bar and goodie bags sponsored by Stone Road Pre-Rolls, Défoncé Chocolatier, Imperfect Produce, Chill Bachi Rolled Ice Cream, Zadaka Hemp, Kiskanu CBD Skin Products, Hakuna Boutique Hemp, Madera Wood to Burn, Oraganic Flame, Mondo and Lizzy Tish Cookies. This is sure to be a special evening of decadent indulgence, but there are limited tickets. Buy now at Eventhi or Conscious City Guide. Hey Khara! It’s great to connect. This is going to be an incredible event. Tell me more about Cannabis Infused Dinner? How did you come up with the concept? I love food and hosting a good party. It’s a huge responsibility to produce an event, I know how much time and effort goes into creating an exceptional evening with satisfied guests. Food is a great vehicle by which to share this journey, exploring the flavors, textures, and smells of each course as it relates to cannabis and consumption. I chose not to serve alcohol at my dinners so that we can focus on cannabis, I feel there are deeper conversations, more meaningful connection, and support from perfect strangers. By the end of the evening, people who came for an experiential meal have the potential to leave as friends or even business partners and better yet, come together as a bigger part of the community as a whole. Emily Anderson of Plant Base Collective. Tell me more about the menu? Plant Base will be serving a 4-course meal inspired by global travels and local ingredients. With a focus on sustainability and organic produce, the meal will feature vegetables from Imperfect Produce and will help to cut down on problematic food waste. Each course will be paired with a corresponding cannabis strain to highlight the specific combination of food flavors & aromas alongside cannabis terpenes. Who should come to the event? Cannabis conossiers, cannacurious, open minded, experiential, and wanting to connect with those within their community. Buy tickets on Eventhi or Conscious City Guide. 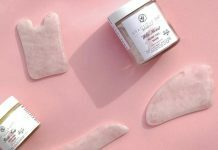 b.Blunt is making it easier for the modern canna-women to break down the most important bits of cannabis culture, discover beautiful products and brands that will enhance their lives, and share stories that will inspire.